Dr Kenneth Vella is the headmaster of Mater Boni Consilii – St Joseph School Paola in Malta and a part time lecturer within the Faculty of Education at the University of Malta. After having obtained his Bachelor Degrees in Education, Post Graduate Diploma in Education (Administration and Management) and Master in Education (Educational Leadership) from the University of Malta, he successfully completed in 2015 his doctorate in Educational Research and Development with the University of Lincoln, UK. 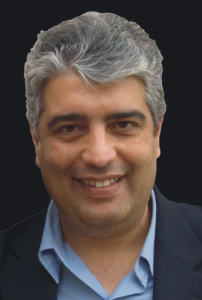 Vella has jointly presented in an international conference held in Malta in 2008 and in 2013 co-edited the publication The Leadership Imperative A Journey Where People Matter. We value relationship building among people of different cultural background. Our selected International Representatives offer great service for international customers. The representatives abroad are appointed to represent and promote Learning Scoop. They know us and the Finnish Education system and represent the Learning Scoop in a professional manner in their respective country or territory. Our overseas representatives can provide more information and discuss opportunities with Learning Scoop.